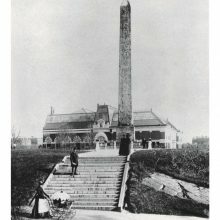 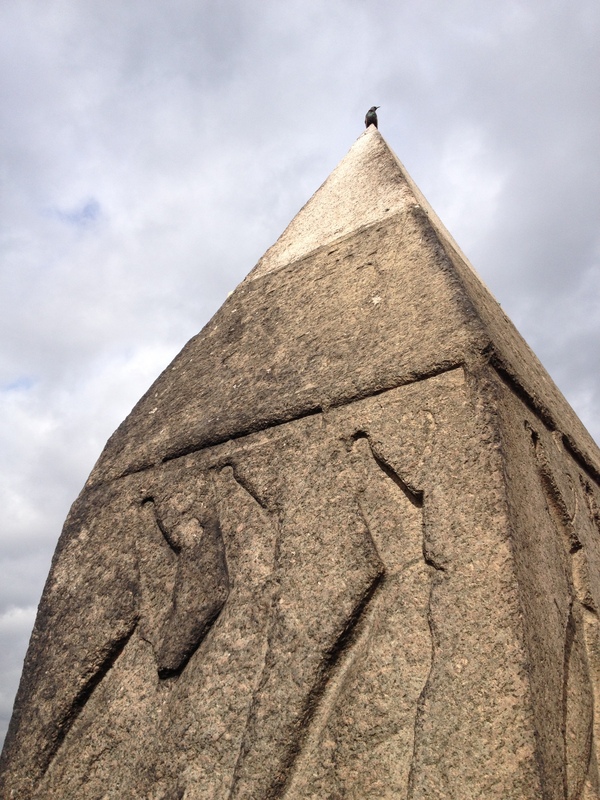 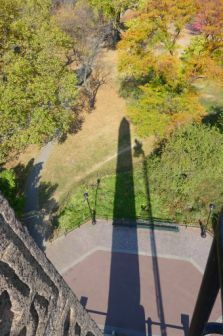 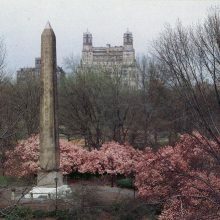 Carved of red Aswan granite in about 1450 BC, the monolithic obelisk known as “Cleopatra’s Needle” had a very long and sometimes difficult life before it was transported to New York City and erected in Central Park. 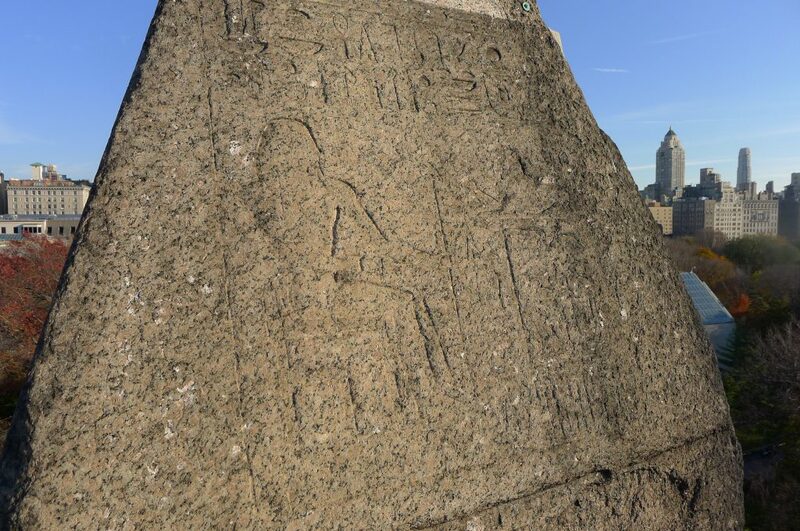 The massive monolith was first cut from the quarry and erected in Heliopolis to honor Pharaoh Thutmose III. 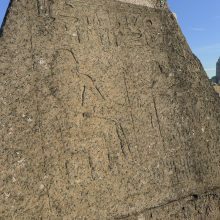 Two centuries later it received additional hieroglyphs celebrating Rameses II. 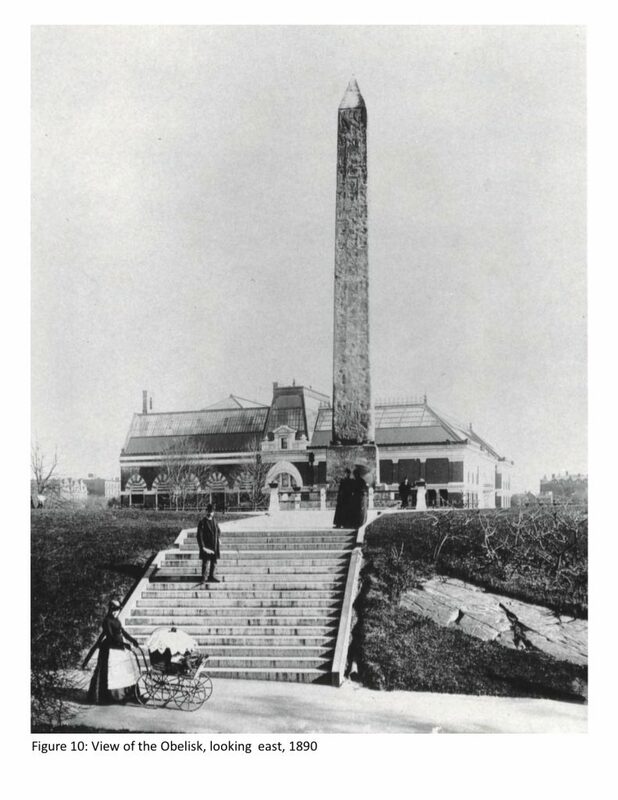 Damaged by fire and toppled by the Hittites, it lay in the sand until it and its twin were moved and erected in Alexandria by the Roman Emperor Augustus. 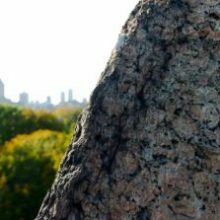 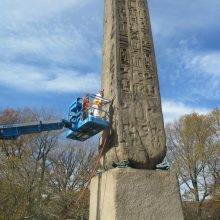 After another nearly 2,000 years, it was given to the United States and moved again, this time to a hillock just west of the Metropolitan Museum in Central Park. 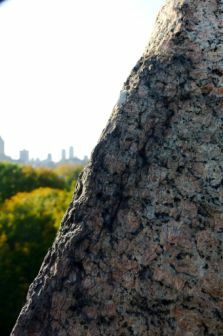 Damages that had accumulated during its previous long life continued and possibly increased as it acclimated to the very different North American climate. 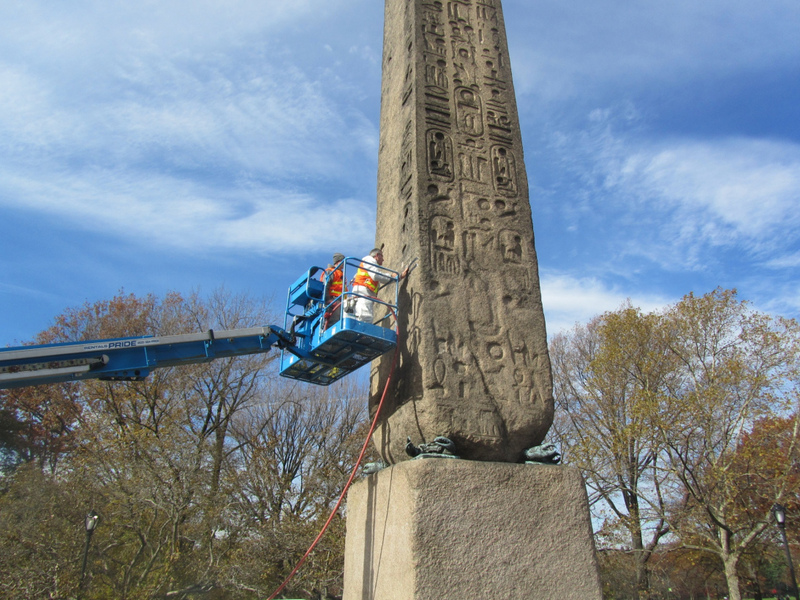 Many conservation treatments have been attempted since then to arrest the ongoing decay. 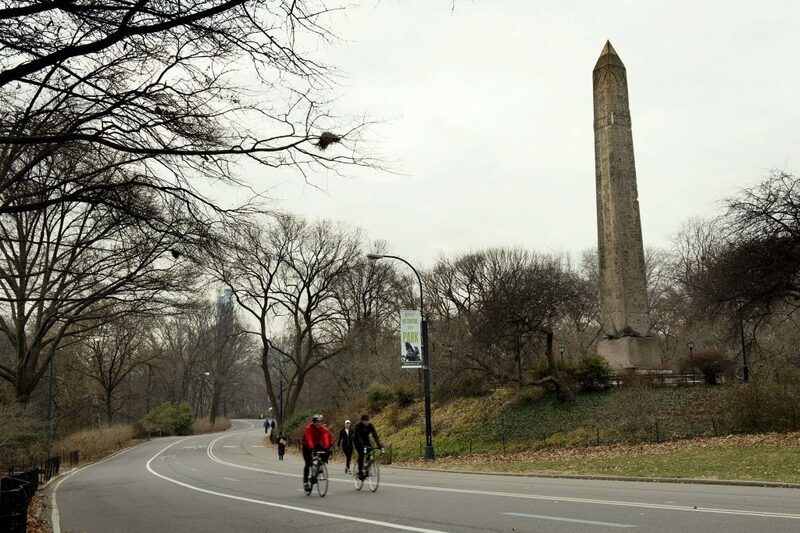 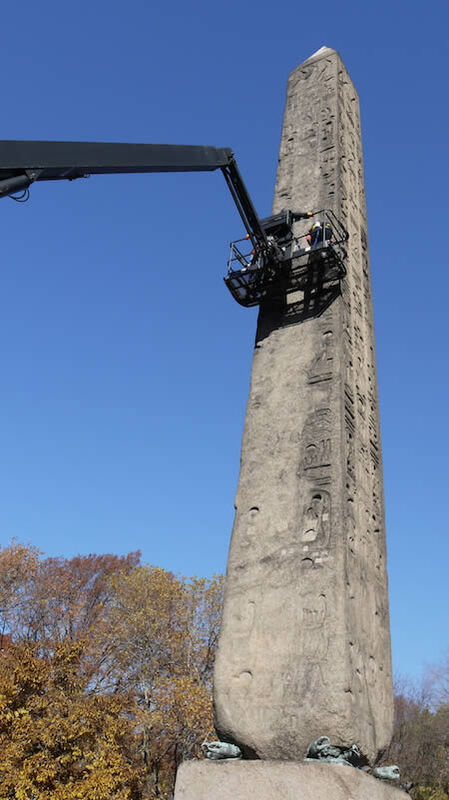 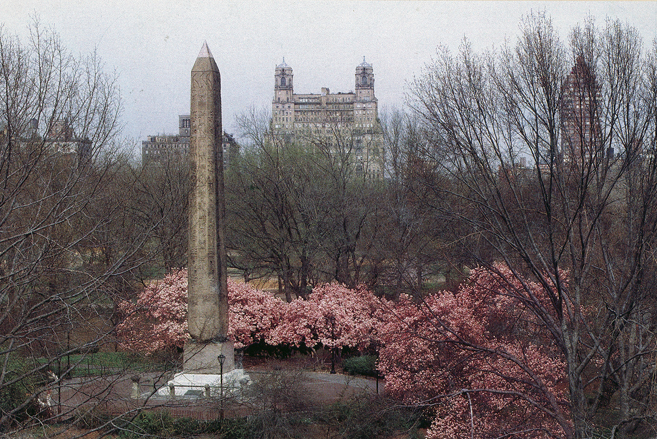 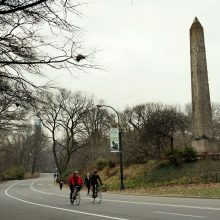 The Central Park Conservancy is overseeing an effort to clean and preserve the Obelisk. 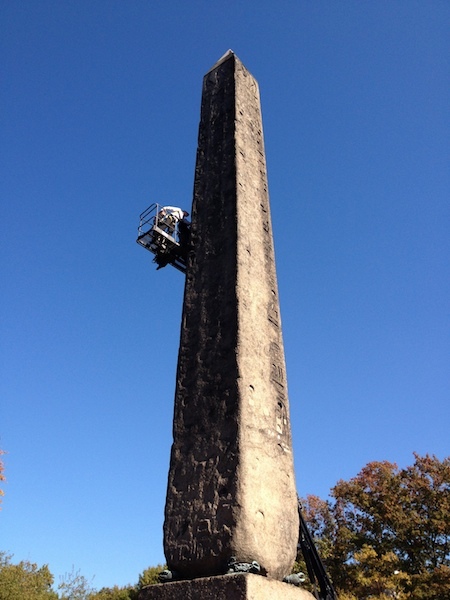 We were engaged to perform a baseline assessment in preparation for the work that is planned to start in 2014. 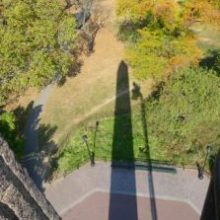 Thorough maps were created with an overlay grid of square meter panels. 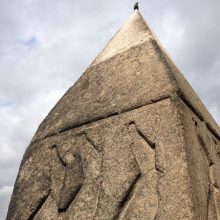 After determining a glossary of conditions, each panel was closely inspected and the findings annotated on paper and digitally. 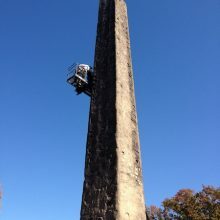 Sites were stabilized if they presented potential for imminent loss. 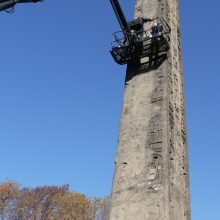 The assessment will provide the basis for the planned work.